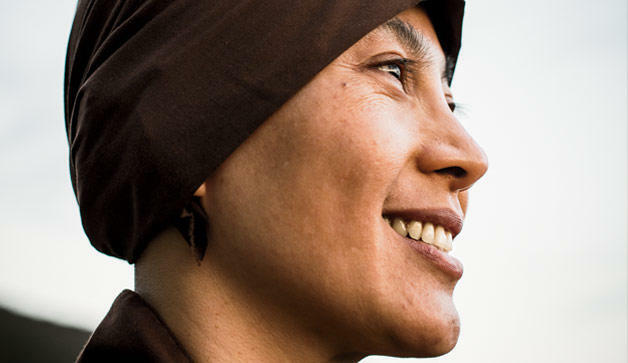 Join Sister D for a meditation and mindfulness retreat this Fall in the tradition of Thich Nhat Hanh. Sister Dang Nghiem (Sister Adornment with Non-Discrimination) moved from Vietnam to Arizona as a teenager and studied to become a doctor. She is the author of the book Healing: A Woman’s Journey From Doctor to Nun and Mindfulness as Medicine: A Story of Healing Body and Spirit. Sister D is sought out by teenagers and young women looking for guidance on how to heal from experiences of abuse and how to find strength in the face of societal pressures. She lives at Magnolia Grove Monastery in Mississippi.